Croft Farm is located just outside Tewkesbury in the scenic River Avon Valley, with a caravan and camping park adjacent to our own lake. The wide range of water sports activities and tuition on offer provide added interest for those wanting a more active holiday. A footpath meanders through the meadow to the River Avon, and free river fishing is available to all our camping guests. Croft Farm is ideally placed as a centre for touring, with the Cotswolds, Malverns, Bredon Hill and the Forest of Dean within easy reach. Local towns include Pershore, Evesham, Cheltenham, Gloucester and Tewkesbury. We also offer a full range of activity holidays and events, from corporate team-building events to stag and hen groups. Just a short walk from the town centre is Tewkesbury's new leisure centre, opened in May 2016. On the ground floor is a main pool, teaching pool and children's splash area with rain shower and mushroom fountain plus a changing village complete with underfloor heating, a vanity area, a pushchair park and family changing cubicles. Above on the first floor is a 60 station gym complete with a free weight area overlooking the main pool and out onto Gloucester Road. Two activity studios for fitness classes, parties, meetings and other functions are also available for bookings. Cotswold Walking Holidays, the leading provider of walking holidays in the region, was founded to encourage people to explore on foot the beauty of the Cotswolds (also known as "Cotswalds" or "Cotswald"). This area of gentle hills and honey-coloured stone villages, some 100 miles/160kms west of London, has some of the best walking in England. The footpaths are exceptionally well maintained whilst the nature of the landscape means that the walking is within the capabilities of almost everyone. Cotswold Walking Holidays is now celebrating more than a decade of organising walking holidays - we were the first to specialise in the area and our routes are much imitated. Our experience is second to none and our location in Cheltenham, at the foot of the Cotswold escarpment, means that we are perfectly placed to organise your holiday. 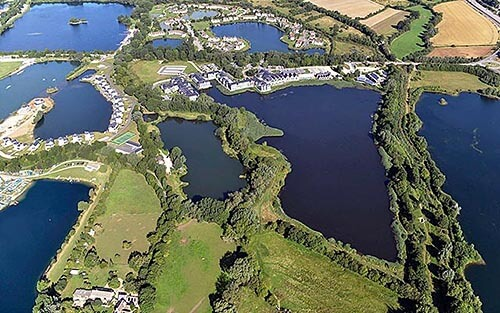 140 Lakes and wetlands covering 40 square miles, south of Cirencester. All outdoor needs satisfied - nature reserves, country parks, water sports, cycling, fishing, riding, caravanning and camping. 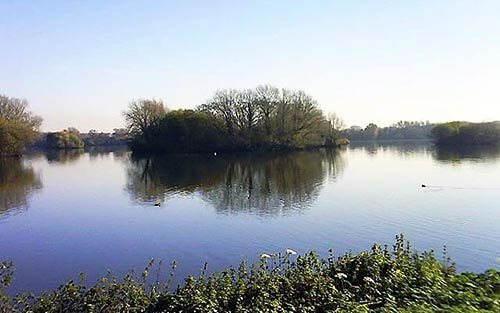 The Cotswold Water Park has much to offer, from a beautiful lakeside stroll to lunch in a Cotswold village pub; from an exhilarating day of water sports to a tranquil morning of birdwatching. Come for the day or stay in one of the many accommodation options available, from luxury lakeside lodges to beautiful hotels and self-catering apartments, or get close to nature with camping. Call in to the Gateway Centre for more information.